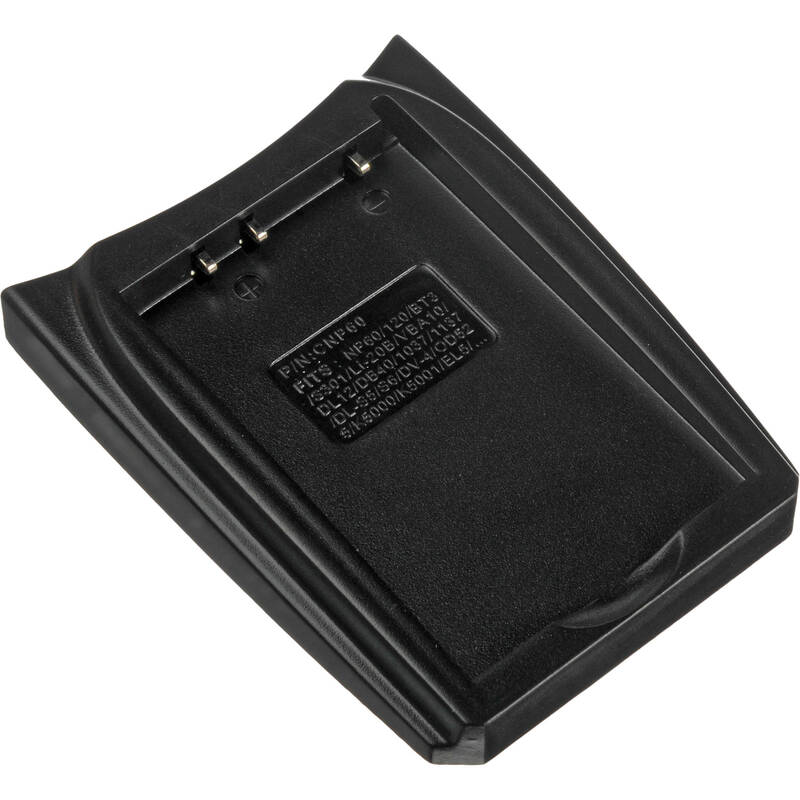 The Battery Adapter Plate for NP-60, EN-EL5 & LI-20B enables you to charge any Fujifilm NP-60 / NP-120, Casio NP-30, Kodak KLIC-5000, Nikon EN-EL5, Olympus LI-20B, Aiptek NP-60, Pentax D-Li2 / D-Li7, Ricoh DB-40 / DB-43, Samsung SLB-1037 / SLB-1137, or Panasonic CGA-S301 / CGA-S302 or VW-VBA10 type battery using your Watson Compact AC/DC or Duo LCD Charger. Watson Compact AC/DC and Duo LCD Chargers feature an interchangeable battery plate system. This economical option allows you to charge many different batteries, all with one charger. Use this plate to expand your charger's compatibility, or to replace a lost plate. Box Dimensions (LxWxH) 3.2 x 2.3 x 1.0"
Battery Adapter Plate for NP-60, EN-EL5 & LI-20B is rated 4.7 out of 5 by 3. Rated 4 out of 5 by Richard from The plate works and is very inexpensive I would rather pay $2 more and get a plate that holds in place tightly and hold the battery more securely.